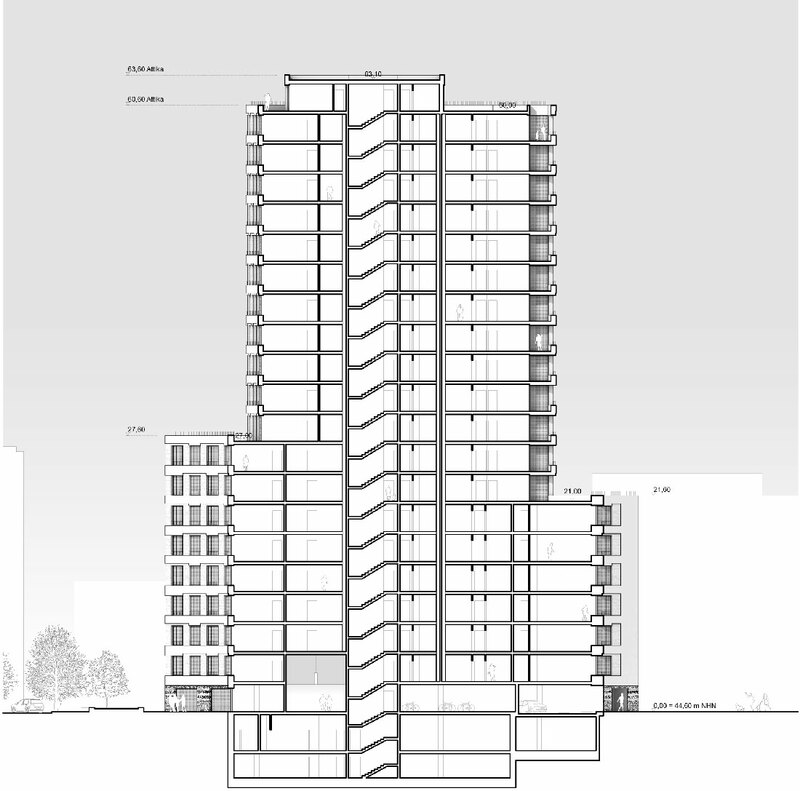 The immediate environment of the new residential tower is characterized by a settlement-like character. 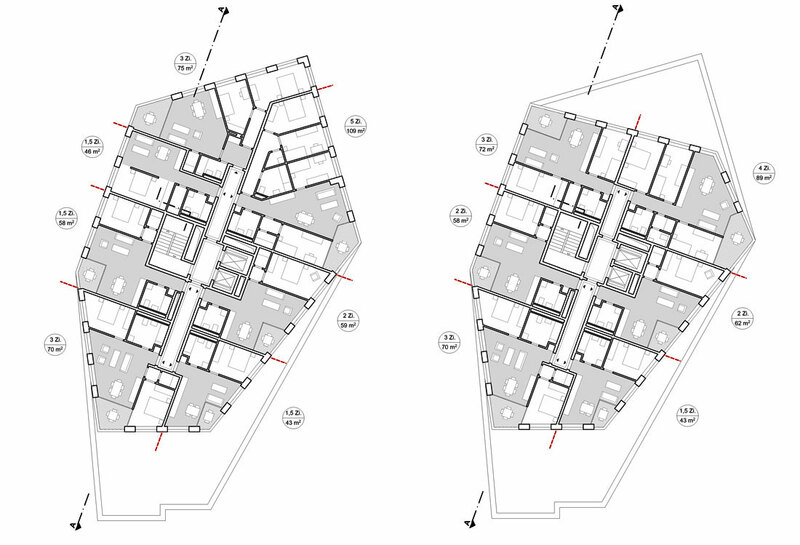 The existing buildings neither follow the streets, nor do they form clearly defined spaces. They have merged into large forms that show no concern for creating places. 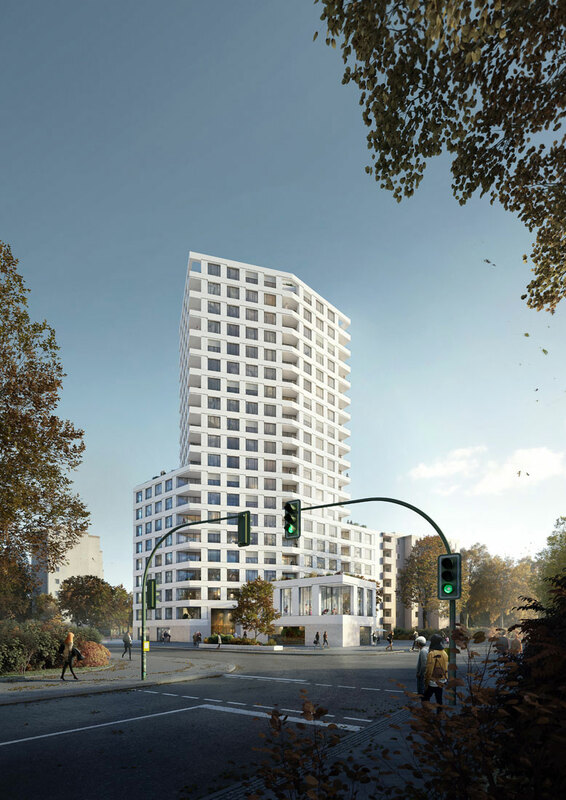 In addition to its main purpose, namely to offer attractive living spaces, the new residential high-rise building makes a leap from settlement to city without negating the character of the location. Rather, it takes on the function of a link, bringing the building into a harmonious whole with ist surroundings. 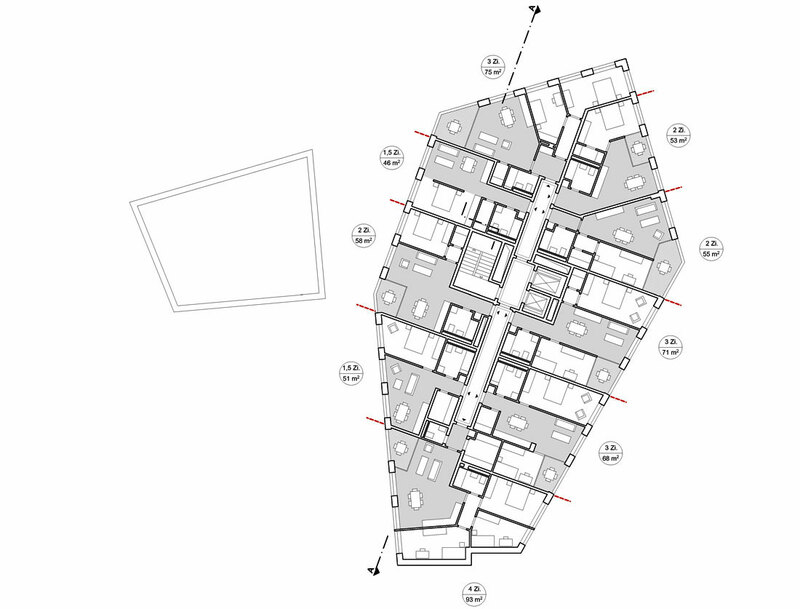 The building is anchored in the urban space via the ground plan, which is based on the road layout in the area. At the same time, clearly defined outdoor spaces with a public character are created. 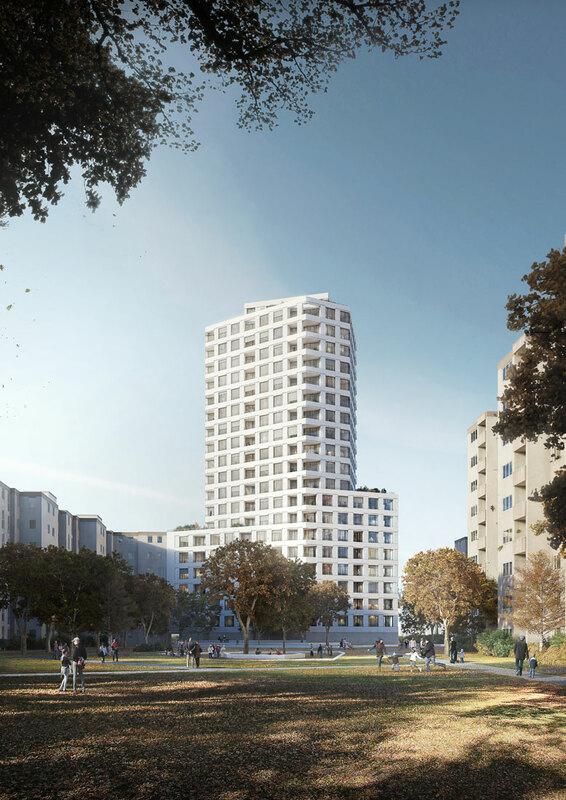 For this, the building is subdivided into a lower zone, which interlocks with the urban space and an upper zone, which unfolds the sculptural effect of the tower. The new building adjoins the fire wall of the neighboring building at the same height. Unlike the existing buildings, the new building has no backsides, which calls for an open, spacious façade design. 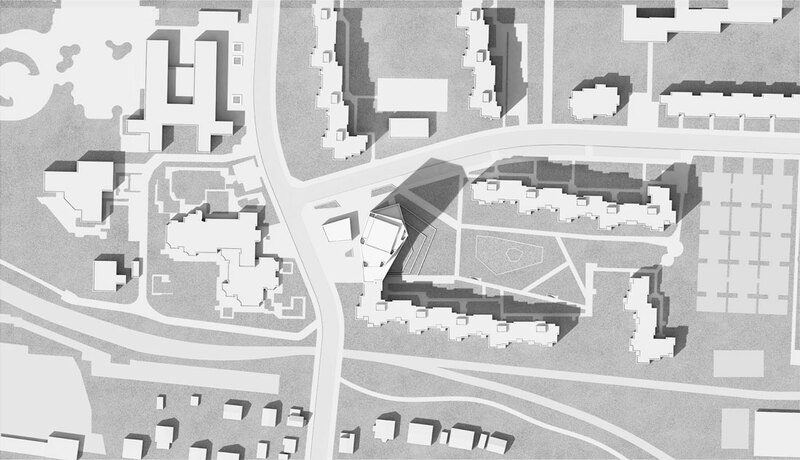 With the building figure in the form of an irregular hexagon, the strictly orthogonal spatial principle of the neighborhood is broken. It is possible to increase the variety of apartment types and / or sizes already shown by interconnecting individual rooms and apartments. 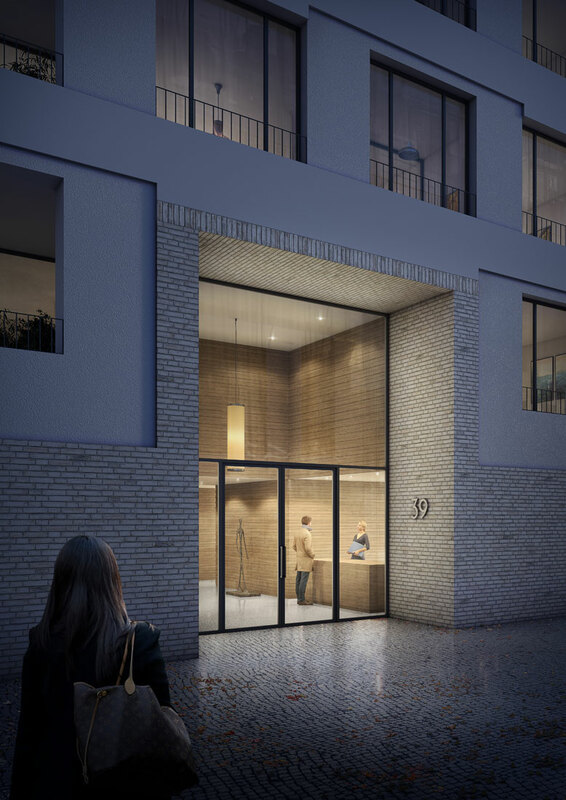 In addition to a roof terrace, which is available to the entire building, further opportunities for community activites are created with the concept of a free-standing pavilion and moves the project beyond pure residential programming.